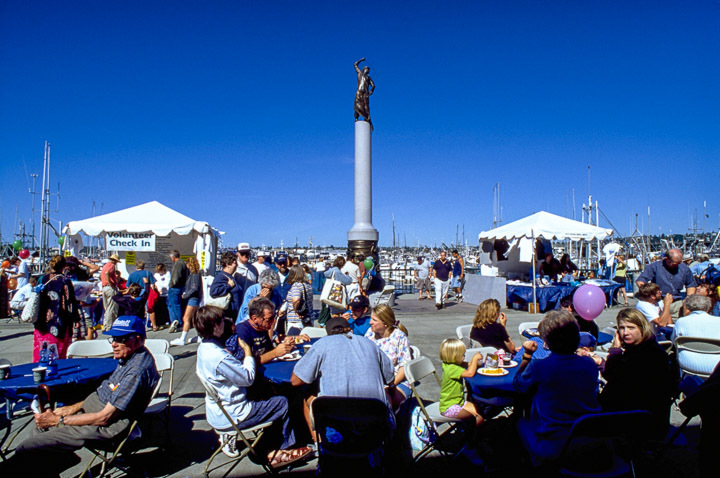 The Fishermen's Fall Festival is a free all-volunteer run and donation funded event which serves to educate the public about Fishermen’s Terminal and the North Pacific Fishing Fleet. The festival is free to attend providing the greater Seattle area community an opportunity to celebrate the commercial seafood industry through a variety of events while at the same time experiencing the unique character of historic Fishermen’s Terminal. In addition to providing this unique, fun and educational community event, the festival also raises money for the Seattle Fishermen’s Memorial providing essential services to the fishermen as well as honoring lives lost at sea.